The VA streamline refinance is a quick and inexpensive type of refinance for Veterans and active-duty servicemembers who currently have a VA home loan. It’s one of the only refinance programs that you can qualify without income or bank account verification, and there’s no credit score requirement. VA refinance rates are at historic lows. If you’re interested in reducing your interest rate and monthly mortgage payment, it’s worthwhile to see if a VA streamline refinance is right for you. Check today's VA streamline refinance rates by completing this quick online form. 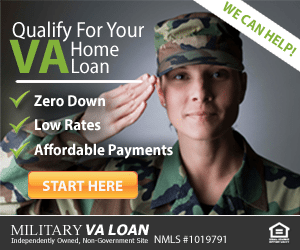 What is a VA streamline refinance loan? Can you take cash out? VA streamline refinance rates remain low this year. According to Ellie Mae’s March 2019 Origination Insight Report, interest rates for VA loans decreased to 4.56% on average — this is 0.23% lower than interest rates for 30-year, fixed-rate conventional loans. With rates continuing to stay low, Veterans who have purchased a home with a VA home loan in the past few years should check to see if a VA streamline refinance can reduce their interest rate and monthly mortgage payment. The amount of money you can save depends on your unique situation — talk with multiple lenders to see who offers the best deal for you. Click here for a free VA streamline rate quote. If you’re interested in a VA streamline refinance (IRRRL) you must currently have a VA home loan. (Your mortgage professional will pull a “prior loan validation” from the VA’s website to prove your current VA loan status.) There are some additional eligibility requirements related to your type and length of service. In addition to those minimum service requirements, you’ll need to meet the following criteria to be eligible for a VA streamline refinance loan. You do not need your certificate of eligibility (COE) for a streamline refinance. Most lenders request a prior loan validation request from the VA in lieu of a COE. You must have made on-time payments over the past year, with no more than one payment that was 30+ days late in the past 12 months. If you did have a late payment, say, eight months ago, you should probably wait four more months before applying. As of April 1, 2019, the closing date of the new VA streamline refinance loan must occur after both of the following events: It has been at least 210 days (about 7 months) since you made the first payment on your current VA loan. You have made at least 6 full payments on the VA home loan you’re looking to refinance. If you’re refinancing a current VA fixed-rate loan to another fixed-rate mortgage, then the new interest rate must have a rate that is not less than 0.50% less than the previous loan. If you’re refinancing a current VA fixed-rate loan into an adjustable-rate (ARM), then the new interest rate must have a rate that is not less than 2% than the previous loan. The lower interest rate may also not come solely from discount points. To prove the benefit of the refinance, your lender provides a form stating the interest rate and payment of your current loan compared to the rate and payment of the new loan as well as how long it’ll take the refinance to pay for itself. For example, if the refinance costs you $3000 in closing costs, but you’re saving $300 per month, then you’ll make back the cost of the refinance in 10 months. In the rare case that the new mortgage payment increases by 20% or more, the lender may ask for full income documentation. You refinance an adjustable-rate mortgage (ARM) to a fixed-rate mortgage. Because fixed-rate mortgage generally have higher interest rates than adjustable-rate mortgages (ARMs), your payment may go up. But, often it’s a good tradeoff to know that your payment won’t change over the life of the loan like it can with an ARM. In some cases, your rate and payment may even go down if your ARM interest rate is higher than today’s low fixed rates. You refinance into a shorter term. The VA streamline refinance allows you to refinance from a 30-year loan into a 15-year term. In this case, it’s OK for your payment to rise as long as your interest rate goes down. Since shorter term loans pay off faster, payments are bigger than loans with longer terms. You finance energy-efficient improvements with your VA streamline refinance. The VA streamline refinance program allows homeowners to finance up to $6000 in energy-efficient improvements for their home, which saves them money over time. Examples of energy-efficient improvements: programmable thermostats, insulation, solar heating, and caulking/weather stripping. In some cases, Veterans may even receive cash at closing of a VA streamline refinance for reimbursement of energy-efficient items. The VA does not require a credit check for a VA streamline refinance, because you’ve already been approved for a loan. That said, most lenders require a credit report to prove that you’re still financially stable and have a good credit history. Expect most lenders to require a minimum credit score between 600-620 to qualify even though the VA does not set a minimum. Check VA streamline refinance rates here. Lenders often impose “overlays,” which are additional requirements beyond the VA’s. For example, the VA doesn’t require an appraisal, but some lenders may for a VA streamline refinance. There are some specific loan guidelines that must be followed in order to qualify for a VA streamline refinance, while other guidelines that may have applied to your VA purchase home loan, but aren’t pertinent for a refinance loan. You are more likely to qualify for a VA streamline refinance if you currently live in the home. If you don’t, you must certify that you previously occupied the home. For example, if you lived in the home, then relocated and rented it out, then you may still qualify for a VA streamline loan. The VA funding fee is required on most purchase and refinance VA loans to defray the costs of the VA home loan program. In most cases, the VA streamline funding fee is 0.50% of the new loan amount — much less than the 2.15% to 3.3% required for a purchase loan or a VA cash-out refinance. The funding fee can be financed into the loan, so that Veterans don’t have to pay it out of pocket at closing. Keep in mind, that the funding fee is waived for Veterans who are disabled due to service-related injuries. The VA makes this determination and provides it to the lender. The VA streamline refinance is not viewed as a subsequent use of your VA home loan benefit. You will not incur the 3.3% subsequent use fee if you take advantage of the VA streamline refinance program. A VA streamline refinance loan does not use any of your VA home loan entitlement, nor do you have to prove remaining entitlement. Your remaining VA entitlement after you purchased the home, if any remains, won’t change if you obtain a VA streamline. You may decrease your loan term with a VA streamline refinance — say from 30 years to 15 years. In this case, it’s OK if your monthly payment increases. You can also refinance a 15-year loan into a longer term loan. Keep in mind, though, that the most your loan term can increase is 10 years. If you currently have a 15-year term, the longest loan you can refinance into will be 25 years. In general, the rules for VA closing costs are the same whether it’s a purchase loan or streamline refinance. The only exception is that a Veteran may not finance more than two discount points (2%) into the new loan. You also cannot get cash at closing with a VA streamline — this refinance option is meant to pay off the existing loan plus closing costs. The exception: If a Veteran prepays for energy-efficient improvements and needs to be reimbursed for actual costs. Often closing costs need to be wrapped into the new loan or paid in cash, but in some cases, the lender can give you a higher interest rate to pay your closing costs — sometimes even the funding fee. Instead of adding the closing costs to the loan amount, the lender pays them for you by using the excess profit from the loan. For example, if interest rates are 4.0%, your lender may give you a 4.25% rate and pay all of your closing costs. You still get a great interest rate, and don’t add much principal to the loan balance. Closing costs vary greatly from lender to lender. You should shop around with multiple lenders to find the best interest rate and closing cost combination for you. Complete a short online form to get a free rate quote and see how much you can save. Can you get a VA streamline refinance cash-out? The short answer: no. There are two VA refinance loans — the VA streamline refinance and the VA cash-out refinance. Like the name suggests, with the VA cash-out loan you can take cash out using your home’s equity. There are more documentation requirements for a VA cash-out and the loan takes longer to process, but if you’re looking to take out cash, then this is the VA refinance loan to do it. Can I refinance my home if it’s underwater? Yes. The VA streamline does not require an appraisal, therefore no value is established for the property. The basis for the loan is the existing VA loan, not the current value of the property. Can I add or remove a borrower from the mortgage with a VA streamline? In general, the Veteran who was eligible for the original loan must remain on the loan. But, there are some cases in which borrowers may be added or removed from the original loan. For example, if a spouse and Veteran are on the existing loan, and the Veteran passes away, then the spouse may be able to refinance with a VA streamline without the eligible Veteran. 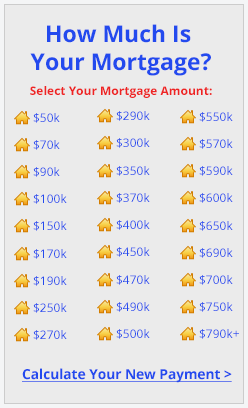 What if I have a second mortgage? Can I skip a mortgage payment by getting a VA streamline? No, payments cannot be skipped. Depending on the closing date of the new loan, it may appear that a payment was missed. In reality, the previous or subsequent month’s interest was wrapped into the new loan. Sometimes, lenders falsely market this as a “skipped” payment — however, the VA does not condone this practice. Can I refinance my VA loan with a new conventional loan? Yes, but you must have enough equity and meet other loan qualifications for conventional loans. If you have 20% or more equity in your home, then it’s possible to open a new conventional mortgage to refinance your current VA loan. A conventional loan requires an appraisal and full income, asset, and credit underwriting, though. Can I use a VA streamline to refinance another type of loan? No. VA streamlines are intended for VA-to-VA refinances only. If you have a conventional, FHA, USDA, or other type of loan, you could possibly use a VA cash-out refinance. You would need an appraisal, plus income, asset, and credit documentation to qualify. Should I apply for a VA streamline with my current lender? It is not required to use your original lender or current mortgage servicer for your VA streamline refinance. You can use any VA-approved lender. It’s best to check with a few lenders to compare the interest rates and fees you qualify for — it’ll ensure you’re getting the best deal for your situation. Get a personalized rate quote here.